Try to see it my way / Do I have to keep on talking till I can’t go on? —The Beatles, "We Can Work It Out"
Is it possible to observe an argument with your spouse from the vantage point of an objective observer? If you could, would you behave differently? 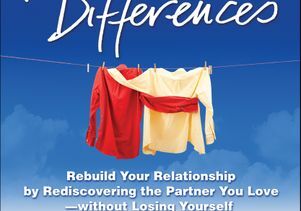 "Advice, especially about marriage and relationships, is easy to give, hard to take and even harder to implement," said Andrew Christensen, UCLA professor of psychology and lead author of "Reconcilable Differences: Rebuild Your Relationship by Rediscovering the Partner You Love — Without Losing Yourself" (Guilford Press). The book avoids simple-minded, one-size-fits-all advice and helps readers to solve issues in their own relationships. "Reconcilable Differences" was first published to wide acclaim in 2000. The new second edition is substantially enhanced, with dozens of new questions readers can use to assess their relationships and relationship conflicts — and instruction on how to interpret the answers — plus new exercises and tips. The book can be an effective, convenient, inexpensive alternative to face-to-face therapy, said Christensen, who has worked with hundreds of couples over more than 30 years and trained many couples therapists. The new volume applies not only to married heterosexual couples, but, to a much larger extent, to gay and lesbian couples as well. The book helps readers understand how to talk more constructively about their differences. "I hope the same kind of progress that happens in couples therapy can happen through reading and doing the exercises," Christensen said. "Couples will start seeing each other's points of view, reduce conflict and improve their relationships." In relationship conflicts, Christensen said, there are often three sides to every story — the points of view of both participants and that of a hypothetical outside observer, who might see partial truth in each of the other two versions. Couples therapy attempts to develop that third side of the story so that both partners achieve some, but not necessarily all, of their goals. "If there's a winner and a loser, then the relationship loses," said Christensen, a faculty member in the UCLA College of Letters and Science. Thinking of a conflict you've had, what comment could you have made early on or before the conflict got heated that might have altered the course of the discussion? What comments could you have made afterward that might have led to recovery from the conflict? Are you engaging in any behavior to create change that backfires and decreases the chances that your partner will do what you want? What might you have said that would have acknowledged what your partner was feeling or shown your interest in your partner's point of view? The questions and exercises are based on a broad range of research, including studies by Christensen and coauthor Neil S. Jacobson that were funded by the National Institute of Mental Health, part of the National Institutes of Health. 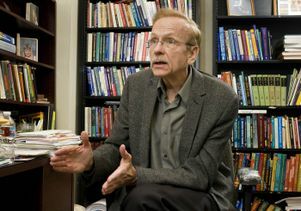 Jacobson was a professor of psychology at the University of Washington until his death in 1999. 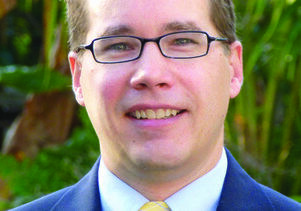 Coauthor Brian D. Doss, a UCLA alumnus, is an associate professor of psychology at the University of Miami. "Reconcilable Differences" helps readers understand why certain relationship issues might be sensitive to one partner — even if they seem trivial to the other partner — and explains how relationship troubles can be exacerbated in times of stress and emphasizes the importance of open communication and emotional disclosure. "The more people really know each other, the closer they're likely to be," Christensen said. "Self-disclosure promotes intimacy. 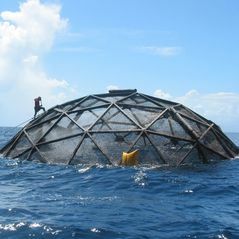 We're trying to make the conversation more comfortable and more productive." One of the book's themes is that people are unlikely to change fundamentally no matter how much their spouses or partners demand it. The book advocates emotional acceptance of each other. "You can push for change at the periphery, but not at the core," Christensen said. "Eliciting change from your spouse without demonstrating acceptance of his or her position is difficult, and often impossible." Instead, the book recommends, see your spouse's faults in the full context of who the person is. Then you may be able to see those shortcomings as "endearing, or at least easily forgivable," Christensen said. In an argument, demonstrate that you have heard your spouse by accurately summarizing what he or she says before responding, and then ask your spouse to accurately summarize your point of view before replying. Focus on one specific problem at a time, and not on a whole litany of complaints and accusations. Don't dig in your heels and insist that your way is the only right way. When in conflict with your spouse, do something positive for your partner, with no strings attached. If talking with your spouse about some issues is not constructive, try writing a note or perhaps making an audio or videotape recording. The change in medium may change the message. Doss and Christensen have developed a free online treatment program for couples based on the book, at www.ourrelationship.com. While you're on your computer, why not strengthen your marriage?